With yesterday’s release of Windows 10 Creators Update, right now would seem the perfect time for Microsoft to announce something new. Apparently, the company agrees, and it’s done just that with a typically vague announcement of an upcoming event in New York City on May 2, 2017. Titled “Learn What’s Next,” the event will likely be welcome news to anyone who’s been wondering how Microsoft will follow up its latest major Windows 10 release. All sorts of rumors are flying around about Microsoft’s Surface hardware line and the next Windows 10 build, and now we finally have an idea of when the company might provide some enlightenment. Of course, the announcement doesn’t tell us anything about what Microsoft might be planning to discuss. 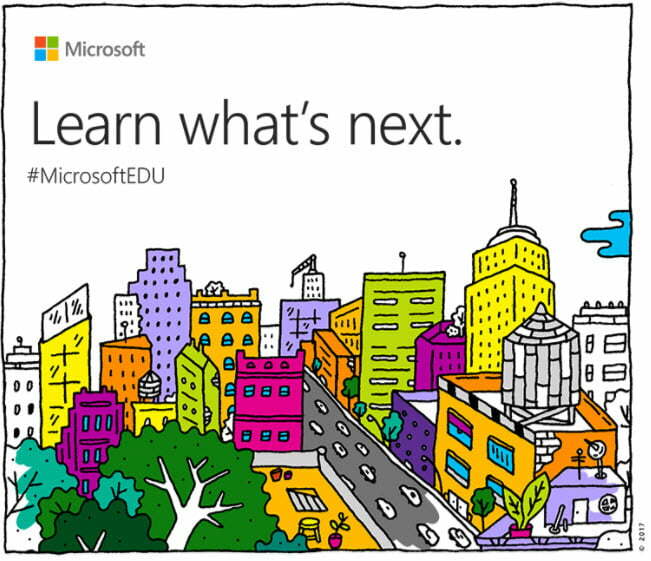 The #MicrosoftEDU hashtag, however, implies that we might see something of interest to the educational market, which aligns with recent rumors that Microsoft plans to talk more about the low-cost Windows 10 Cloud effort that seems tailor-made for cost-conscious educational customers and will likely combat Google’s Chromebook initiative in that market. Furthermore, the event comes less than two weeks before Microsoft’s Build 2017, which is where the company will reveal important facts about its software strategy. This raises the very real question of whether Microsoft will announce new hardware on May 2, and what that hardware might include. Some recent information suggests that Microsoft will not announce the much-anticipated Surface Book 2 and that a Surface Pro 5 might or might not be revealed. Anyone who’s been waiting impatiently for more information on the next Surface machines might, therefore, be disappointed. In any event, at least some questions are likely to be answered. If you’re not able to make the event in person, then you’ll be able to attend the live-stream in the comfort of your own home or office. The event will take place at 9:30 a.m. ET on May 2, 2017, and Microsoft provided a handy link if you want to go ahead and add the event to your calendar.